37227 is carrying BR Railfreight Metals Sector livery as it trundles along the run round line at Princes Risborough station, adjacent to the Chinnor Railway's Platform 4. 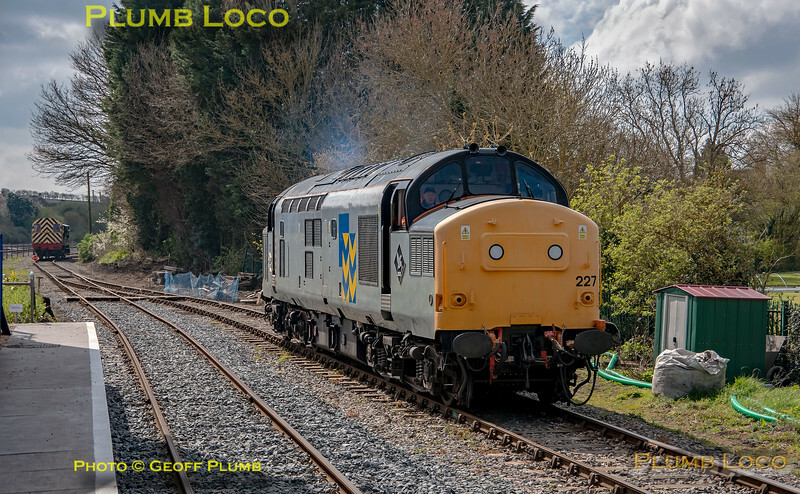 It had arrived at the head of 1P05, the 11:35 from Chinnor during the railway's Vintage Diesel Gala weekend. The train then returned to Chinnor as 1C08, 12:05 departure, behind 97205. D3018 "Haversham" can be seen in the background between bouts of brake van rides. 12:04, Saturday 6th April 2019. Digital Image No. IGMP46890.